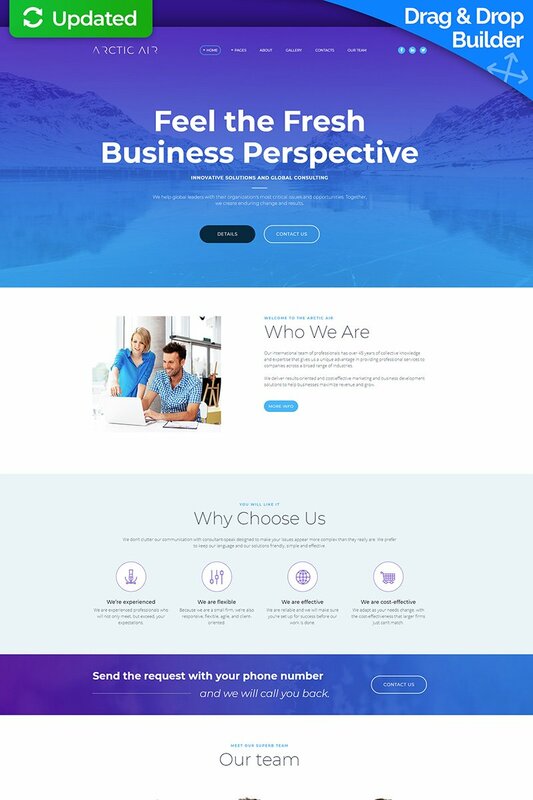 Great template for creating a professional business website. It has a fresh and attractive design, easily customizable and adapted to mobile devices. The website creation with this template is simple with the easy drag and drop builder. Using it you don&rsquo;t need to learn code or hire a web designer. Also, there are lots of tips inside that will help you to get started. Though, if you have any questions, you can contact the support team. Thank you MotoCMS for my beautiful website! - PayPal payment and donate buttons were added.